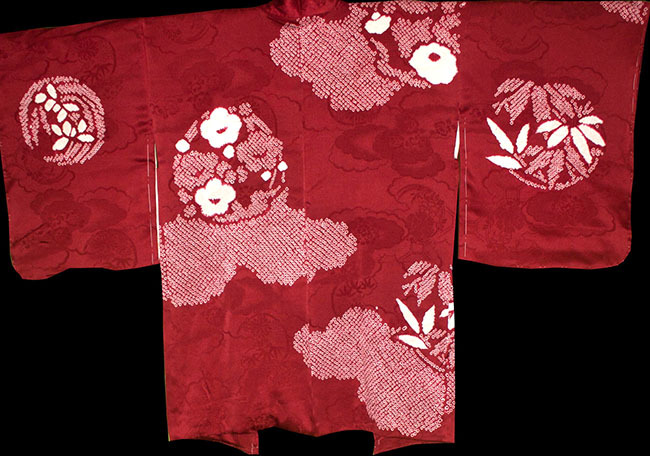 Kimoyes item: 22173 - Beautiful soft red and cream silk haori with an all over shibori design. 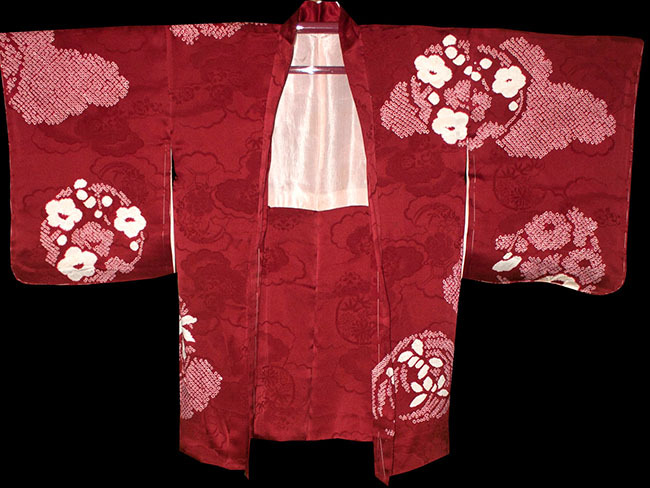 Beautiful soft red and cream silk haori with an all over shibori design.The flower design silk lining is lovely and sets off the entire look of this lovely vintage garment. 35 inches long and 50 inches from sleeve edge to sleeve edge. 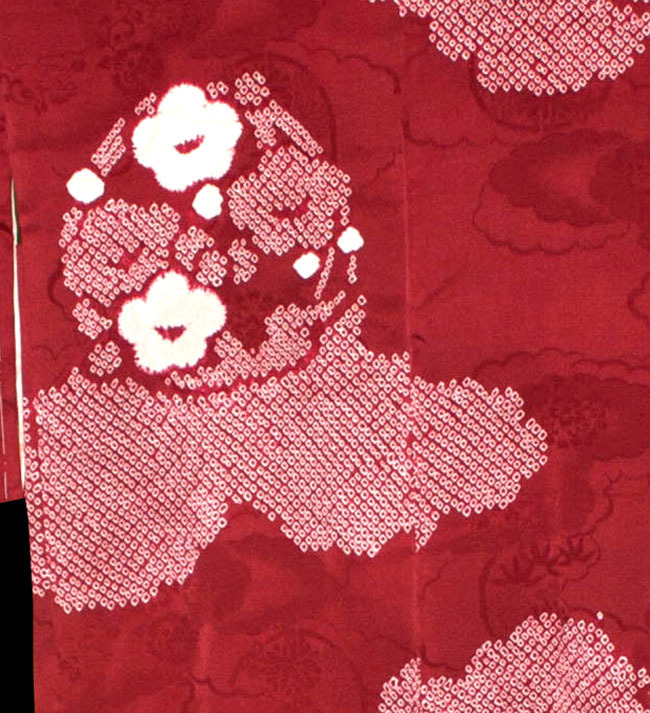 Hand woven silk ties.